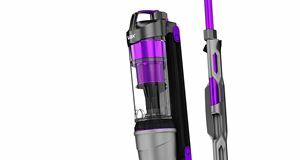 Plenty of vacuum manufacturers will relieve you of several hundred pounds in return for a flashy device, but there are also many fine choices for under £100. Here's our pick of the best. 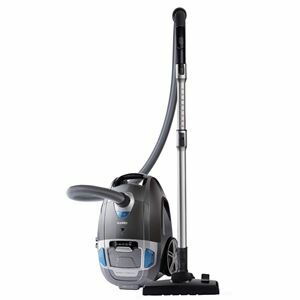 Considering this is the least expensive device on this list, the Hoover Jive has a great deal to offer. 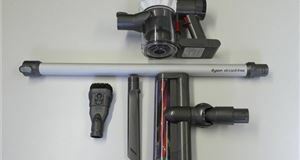 Cordless operation gives you ten minutes of running time but more impressive is that this is a wet and dry vac, keeps its nozzle tool stored on-board and even has a squeegee to deal with spills. 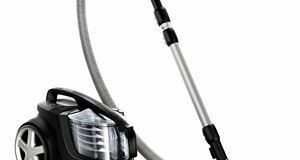 A hugely popular upright vacuum with the ability to be used as a handheld, the Von Haus has plenty of features considering its modest price. Although corded it is designed to be used all over the house, working in three rather than two modes and has HEPA filtration for better performance. Even at this low price this Russell Hobbs offering gives you the option of a compact handheld but uses mains power rather than running off a battery. That means it’s a little less portable but the lightweight design means it is suitable for full domestic use in an upright fashion. Telescopic tubes and three head attachments mean it's equipped for all circumstances. 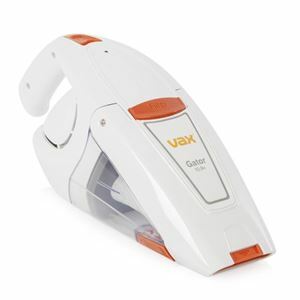 Currently offered at a reduced price of £40, this Vax model has a 10V rating to give a slightly longer run time of 15 minutes, with a 300ml capacity and a modest weight of 1.24kg should make it easy to handle. It’s also another brand with plenty of experience in the field, which probably explains the two-year UK guarantee too. 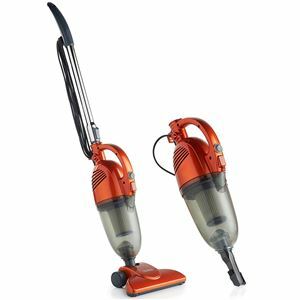 A proper upright vacuum cleaner for £60 looks like a good deal to use, particularly coming from a well-known brand like Vax. 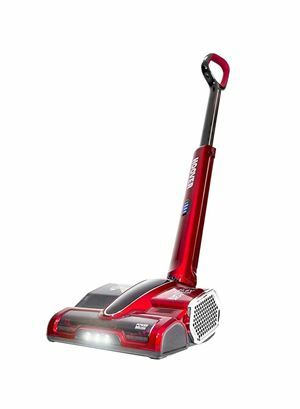 It’s corded but that means you can use the 850W of power for as long as you like, and there’s a flexible hose attached so you can still get into all the nooks and crannies with ease. 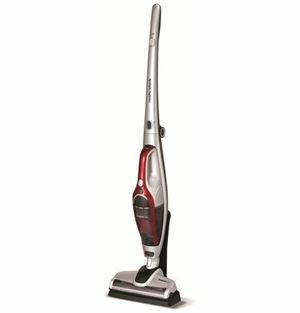 This Eureka models takes the old-style template by being a pull-along, corded vacuum cleaner that isn’t bagless, but makes up for that with some modern features. Eureka says it’s one of the quietest you can buy thanks to a noise reduction system, and there’s a washable HEPA 12 filter to remove 99.5% of particles. It also claims an A for efficiency, so should be cheap to use too. 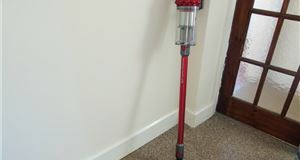 Another brand with a long association in the vacuum cleaner market, this Morphy Richards offers the popular option of handheld or upright operation but with a sizeable 21.6V battery for cordless operation. 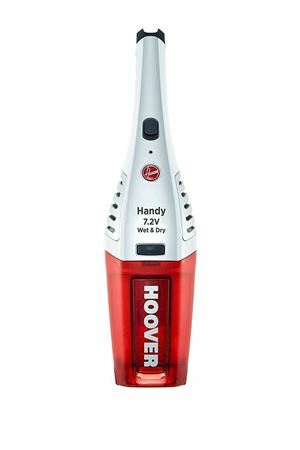 That battery allows up to 50 minutes of cleaning time and the handle even folds down to make for easier storage. 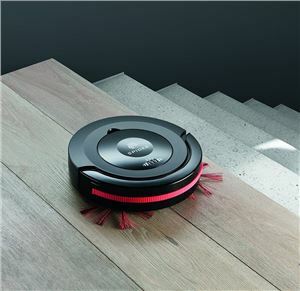 Proving that a decent robot vacuum cleaner need not cost you more than employing a human being to do the job, the Dirt Devil DDH12-E01 is a smart piece of kit. There are multiple brushes on each side to assist in dirt pick up and a full charge provides as much as 60 minutes of running time. It also offers three cleaning programmes including a perimeter function for it to find a way around your room of choice. 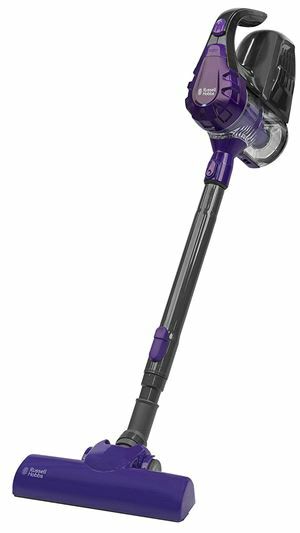 Sneaking into this list on account of a sizeable 50% discount currently on Amazon, the Hoover Sprint is a slim and lightweight upright that packs a significant punch from its 21.6V battery. 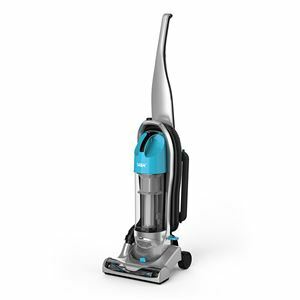 Dishing out 50 minutes of cleaning time from a full charge it also has a switchable rotating brush to help lift dirt from carpets as well as two power settings to suit all circumstances. Because it’s sold almost everywhere it is possible to get hold of a new Numatic for £100 if you get busy with the clicking – we found at least one seller on Amazon at this price. 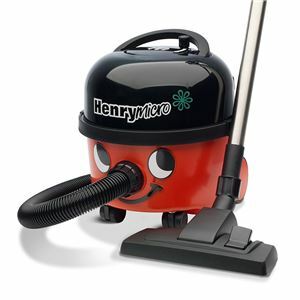 It’s as simple and effective as a doorstop and would probably survive a nuclear war, so the Henry can definitely handle the worst that your kids can do.